The phrase “marches to the beat of his own drum” takes on an entirely new meaning when used in reference to award-winning drummer and percussionist, Jaron Mossman. His versatility and proficiency are nearly unmatched, but his work ethic and dedication redefine the term “working musician”. Jaron began honing his skills at the age of 8, when he first discovered his passion for percussion, and has been active in live music since he was 14. 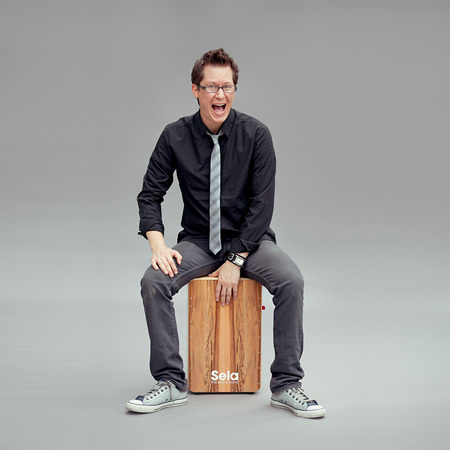 After spending ten years as one of the hottest drummers in the Arizona music scene, in 2011 he made the decision to move to New York City in order to be further immersed in musical diversity and opportunity. During that time, he began touring with a Washington, D.C.-based band and he got his first taste of Nashville while on tour.He immediately began networking, and before long he was being sought out by Nashville-based musicians, and spent more and more time in Music City. It was a natural progression to make a permanent move in 2013. Since making the decision to call Nashville home, Jaron has worked with an impressive 50-plus musicians, both live and in the recording studio. Currently on pace to top his average of more than 100 shows every year, he is showing no signs of slowing down. Jaron is constantly evolving as an artist and over the years has played with a multitude of musicians, covering many differing styles and genres of music. This eclecticism has allowed him to grow and develop his craft in a way that not many can match. In his 15-plus years as a working musician, Jaron has played over 1100 performances and shared the stage with bands that have opened for internationally known acts such as Cake, Everclear, CCR, Arlo Guthrie, David Crosby, Taj Mahal, Little Feat, Live, The Samples and many more. In addition to his live stage performances, Jaron has also completed dozens of studio recordings as both a drummer and percussionist. Always approachable, Jaron is infectiously enthusiastic and plays with a passion and authenticity that consistently accomplishes his goal as a musician: To Serve the Music. "I absolutely love my Sela CaSela Pro Satin Nut cajon! I have never heard the snare response, sensitivity, and tonal range that Sela offeres with their products.."